Dogs are loving friends, and their company can be more comforting than humans at some point. However, no matter how much you love your dog, having an untrained dog at home will cause you more harm than good. Dog obedience training can be conducted by a professional or yourself. It is frustrating to keep shouting at your dog from time to time. Dogs like to be trained. Teaching your dog makes them aware of their boundaries. This helps the dog to have freedom. However, a dog that has not been taught obedience and boundaries is always suspicious of everything he does. Such a dog may develop fear if you keep shouting at him. The good news is that you can actually train your dog obedience. Here are some tips to help you train your dog. 1. Assigning Consequences to behaviors. 3.Dog Obedience Training – Avoid Violent punishments. 5. Keep the consequences consistent. 7. Have Short and Interesting sessions. 9. Dog Obedience Training – Practice Over and Over. 10. Know your Dog breed. Your dog will learn to obey you once it realizes that disobedience has consequences. The same way, you should also reward good behaviors. Once you start setting boundaries based on behaviors, your dog will learn that he must obey or face the consequences. For example, if you don’t want your dog to be jumping on you, turn and walk away when you see him preparing to jump. The dog will learn that jumping does not lead to anything good. On the contrary, when it is lying calmly beside you, reward it with something sweet. This will make him know that being calm is rewarding. Dogs do not remember their mistakes. If your dog left a pile of poop on the floor 6 hours ago, punishing him for that will not help. He will never remember that he left poop behind and will not be able to connect the consequences to the punishment. 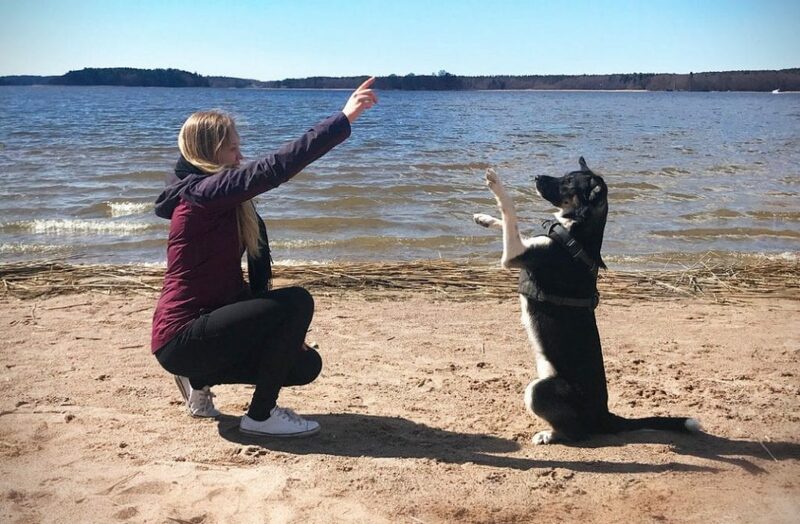 The best way to train your dog is to catch them in the act. If you spot him pooping on the floor, you should give punishment immediately to let him know that it is wrong. Do not attempt to train your dog using violent methods such as spanking or shouting. Violence will instill fear in your dog, and this is not a right place to be for any pet owner. Dogs also do not understand shouting. Shouting to your dog is just an indication that you are out of control. The dog will be always afraid of any outbursts and will not be able to obey commands. The dog may not be able to follow long commands; it is preferable to keep them short. There will be time to talk to your dog in whole sentences. However, when teaching him obedience, stick to 1 or 2 words. A command should be as simple as sit, heel, stand, down, jump, etc. The only language that a dog understands is consistency. If your dog jumps on you today, give him something sweet. Remember to do so every time he jumps on you. This is because, if you only do it once, he may not be able to interpret the reward as a gift for jumping on you. Every consequence either good or bad must be consistent for best results. When training a dog about a given trait, everyone in the family should treat him in the same manner. If you reward your dog for jumping on you, your spouse should do the same. If your spouse does the contrary, the dog will get confused. 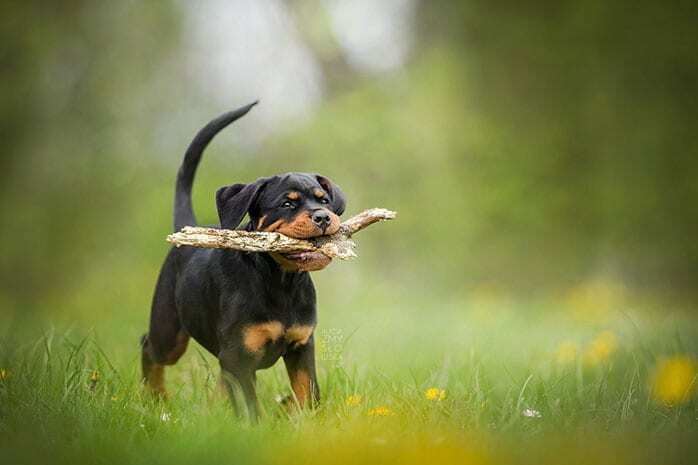 Teaching your dogs specific skills will help you manage them and prevent unwanted behaviors. For example, if you teach your dog a command as simple as “sit and stay’, it can help control the dog when guests are at home. You can also train them to “sit and stay ” when the bell rings or when they see a guest. While the training sessions are fun for you and your dog, having prolonged sessions will not help. Any session that goes beyond 15 minutes can be termed as long. At this point, your dog will lose its concentration. Try to focus on one or two skills during each session. Since you need to repeat over and over, you may change scenes to ensure that the dog does not misinterpret a given skill. You need to make your dog feel like you can lead. If the dog thinks that you cannot drive, one alpha male may take the role. Shouting and violence only indicates to the dog that you do not have what it takes to lead. You need to be firm with your consequences. This is the only way the dog will learn to obey you. The way you issue out your consequences is also important. No dog should be exempted from consequences no matter how cute he/she may look. Once you teach your dog a command, they will master even within a day. However, for your dog to keep on obeying that command you need to practice it over and over. Practice with your dog for at least one month to be sure he won’t forget the command again. Different dog breeds behave differently. Before you get down to business with your dog, take some time to learn about its breed. Some dogs are difficult to train while others learn easily. If you do proper research, you may find more important tips on how to train your given dog breed. Dogs are adorable and loving. They make our lives much more comfortable by giving us companionship. However, having an untrained dog at home may cause you trouble. You need to take your dog through obedience training. A dog obedience training will help teach your dog commands hence giving you more control over your dog’s behavior. 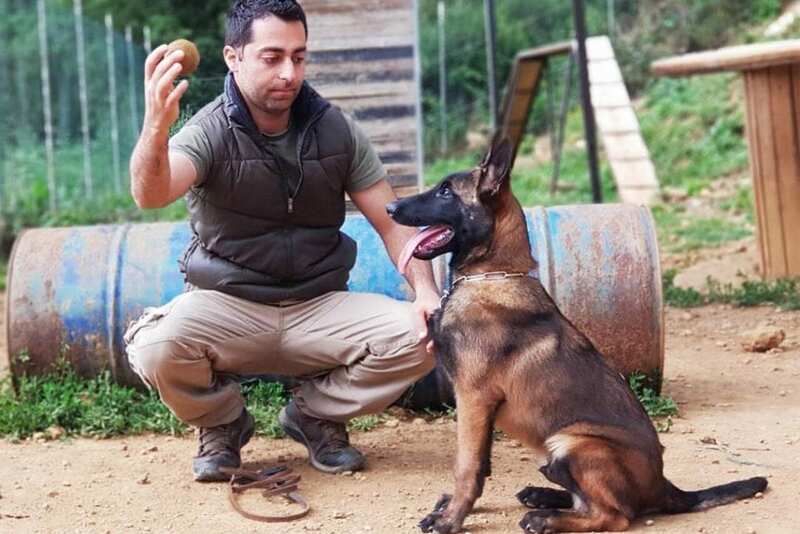 By training your dog, you reduce chances of aggression, violence, and fear.